&quot;As will be seen, there is not much missing here. I thought that the sections were well balanced, with rarely too much or too little on a given topic...This is a text to be welcomed by both teachers and students.&quot; BIOCHEMISTRY &amp; MOLECULAR BIOLOGY EDUCATION (on the first edition) The second edition of this successful textbook explains the basic principles behind the key techniques currently used in the modern biochemical laboratory and describes the pros and cons of each technique and compares one to another. It is non&#x2013;mathematical, comprehensive and approachable for students who are not physical chemists. 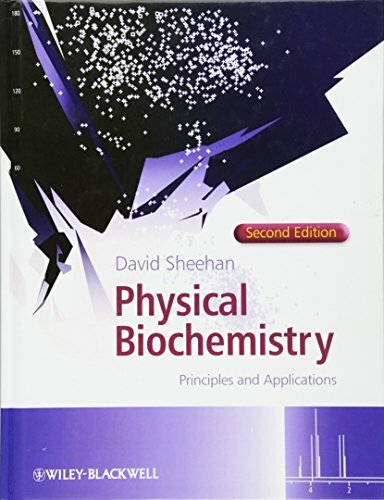 A major update of this comprehensive, accessible introduction to physical biochemistry. Includes two new chapters on proteomics and bioinformatics. Introduces experimental approaches with a minimum of mathematics and numerous practical examples. Provides a bibliography at the end of each chapter. Written by an author with many years teaching and research experience, this&nbsp;text is a must&#x2013;have for students of biochemistry, biophysics, molecular and life sciences and food science.